This year CHOPARD celebrates the 30th anniversary of its sponsorship of the Mille Miglia race between Brescia and Rome. Each year, CHOPARD celebrates the classic car race with a limited-edition sports watch. 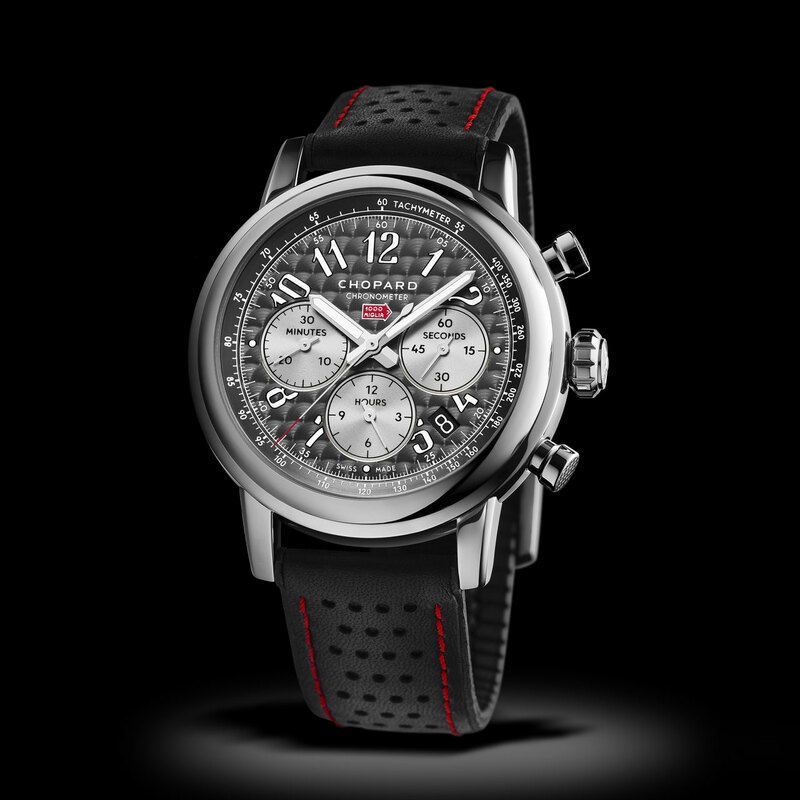 The Mille Miglia 2018 Race Edition is a numbered series with a COSC-certified movement that has a rate variation within -4 to +6 seconds per day. 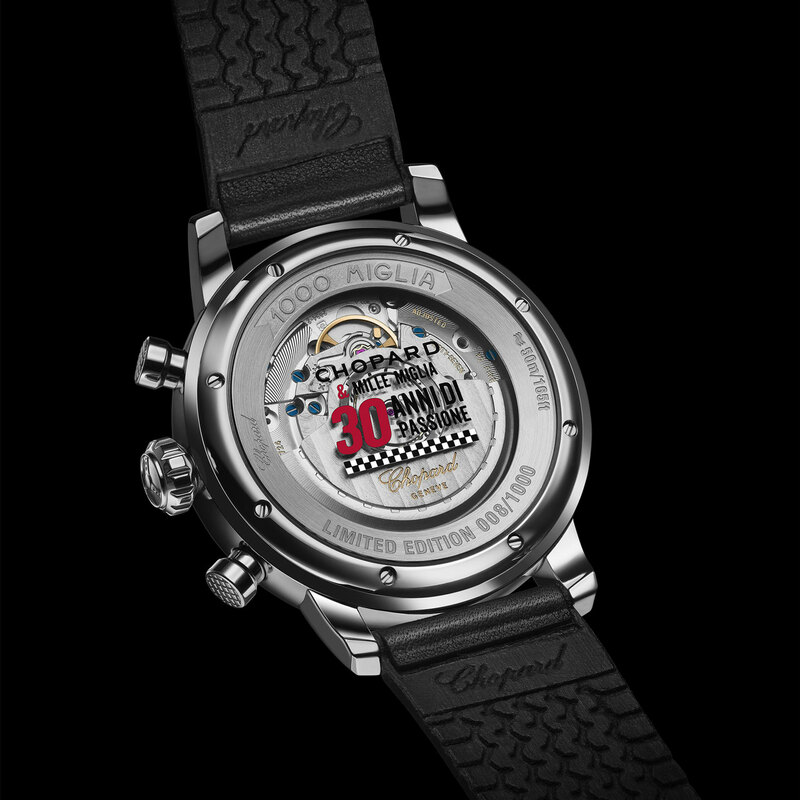 There will be 1,000 pieces in steel – marking the 1,000 miles of the race – and 100 pieces in 18k gold and steel, each with an inscription on the caseback: “Chopard & Mille Miglia 30 anni di passione.” The watch is designed as a tribute to classic automobiles, with a dashboard-inspired dial, a notched crown resembling a gas-tank cap, and chronograph pushers shaped like engine pistons. The strap is perforated in the style of driving gloves.